Israel’s Iron Dome missile defense system has become operational aboard a warship for the very first time, in what senior officials have dubbed a “significant milestone.” It comes as tensions continue between Israel and rivals Iran and Hezbollah. A battery of the Iron Dome anti-missile system was mounted on the Sa’ar 5-class INS Lahav corvette warship on Monday, according to senior officials. It was declared fully operational after undergoing a successful “live-fire test,” during which various scenarios were tested – including the firing of Grad rockets at gas-drilling platforms, Haaretz reported. 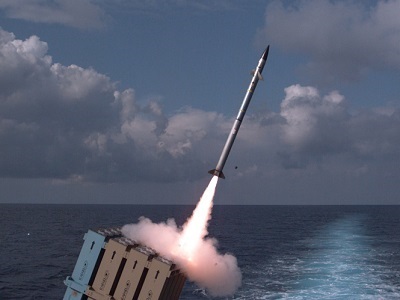 He explained that the system’s Tamir launcher is fully connected to the ship’s Adir radar system and to the entire network of Iron Dome land-based batteries. “We tested this today and it worked excellently,” he said, as quoted by The Times of Israel. Testing began in May 2016, as a joint project between the Navy, Air Force, and defense contractors. A video of a test was posted online at that time by the military. Haimovitch went on to explain that the battery will add “another operational layer” to Israel’s multi-tiered defenses. It will join the long-range Arrow 3 system and mid-range David’s sling, both of which were made operational earlier this year. Haimovitch said there are plans to put the system onto additional corvettes. The push to protect Israel’s shipping lanes and gas fields comes after Israel’s natural gas platforms came under attack by rockets during the 2014 Gaza war, known in Israel as ‘Operation Protective Edge.’ Although such attempts ultimately failed, the military says it brought to light the need for the navy to increase its protection of those sites. 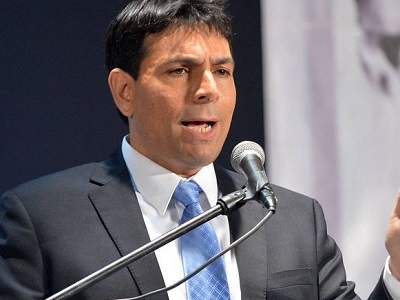 Israel’s defense ministry revealed over the summer that it would be investing NIS 1.5 billion (US$420 million) in maritime systems to protect the country’s gas fields and shipping lanes. The budget will go towards additional missile defense batteries, electronic warfare, navigation systems, command and control centers, communication gear, and other naval systems. This in addition to the four Sa’ar-6 warships purchased from Germany, which are due to be delivered in 2019. Israel first discovered its natural gas fields off the coast in early 2009, with the government deeming them a strategic national interest. The Tamar field, which began production in 2013, has estimated reserves of up to 238 billion cubic meters (8.4 trillion cubic feet). Under Saudi, Egypt pressure, Abbas retreat from prosecuting Israel https://t.co/8TScL46Y27 via @MiddleEastMnt #Palestine #Gaza Will these war crimes ever be brought before the eyes of the world? Meanwhile, the move comes as Israel’s ongoing feud with arch rivals Iran and Hezbollah continues to intensify. In a move earlier this month, the chief of staff of Israel’s military told Saudi Arabia’s Alaf newspaper that Tel Aviv was ready to share intelligence on Iran with Riyadh, despite the two not having diplomatic relations. He referred to Iran as the “biggest threat to the region,” while stressing that Israel and Saudi Arabia were in full agreement about Tehran’s intentions. 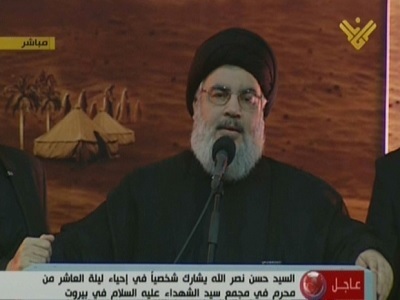 Israel has also long spoken out against Lebanon’s Hezbollah, an Iran ally. However, Lebanese President Michel Aoun defended the group last week, citing his country’s need to defend itself in the face of Israeli aggression. The head of the Lebanese army also asked the military to be at “full readiness” to face Israel at the southern border.